Sorry... the 2017 BMW 230 is no longer being sold as new. Instead, take the first step to a great deal on 2019 BMW 230 with a free price quote! The BMW 2 Series is the company's entry-level car. It is a sporty two-door coupe or convertible with seating for four. It's available in two models: 230i and M240i. Competitors include the Audi A5 and Mercedes-Benz C-Class coupe. The 2 Series gets new four-cylinder and six-cylinder engines and updated model names. 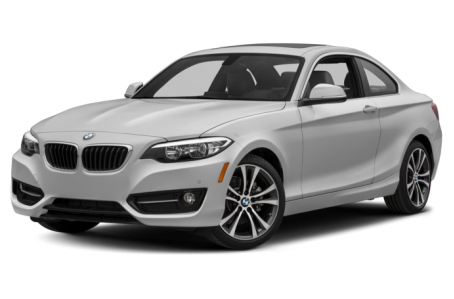 The 230i is powered by a turbocharged 2.0-liter four-cylinder engine that makes 248 horsepower while the M240i gets a turbocharged 3.0-liter six-cylinder rated at 335 hp.